As one might anticipate, projections for real estate values and the market, in general, are scattered like stars in the sky. So many thoughts and statistics it is hard to know where to begin. My experience is that real estate brokers are somewhat synonymous with stockbrokers in regard to their involvement in the efficient market of information. Maslow’s hierarchy will find them near the bottom (the basic fight or flight instinctual range) as information has already been priced in by the smart money. So let’s follow the smart money into the 2019 real estate market. While many make predictions regarding the markets, seldom come to fruition. This is not the case for the real estate industry savant who predicted the 2008 real estate crash and nailed last year’s housing slowdown with uncanny timing. His name is James Stack, and he manages $1.3 billion for people with a high net worth from his office in Whitefish, Montana. Hold on to your seat belts because Stack is bearish again on real estate in 2019. With no holds barred, Stack predicts, “Housing could be heading for its worst year since the last housing crash. 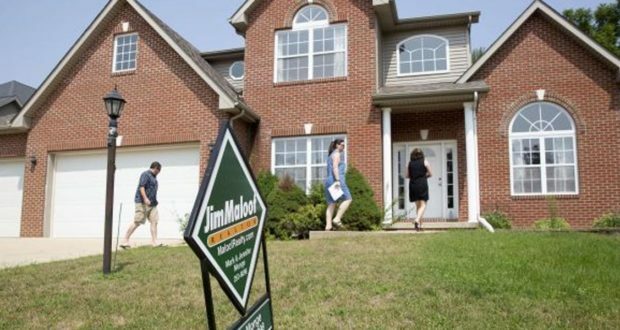 Expect home sales to continue on a downward trend in the next 12-plus months. And there’s a significant downside risk to housing prices if a recession takes hold.” There you have the downside, my friends. It’s not just that Stack was right with his forecasts, he was a lone voice in the negative wind. What is the pessimistic side of the equation based upon? In almost Greenspan Fedspeak, Stack stated that his “Housing Bubble Bellwether Barometer” of homebuilder and mortgage stocks was up 80 percent in a year, a sign that investors once again had gotten too “exuberant.” Yes, it is true from the demand side that mortgage rates rose a percent, but also they have come down by half a percent in recent months. Also, the supply side has not been mentioned. 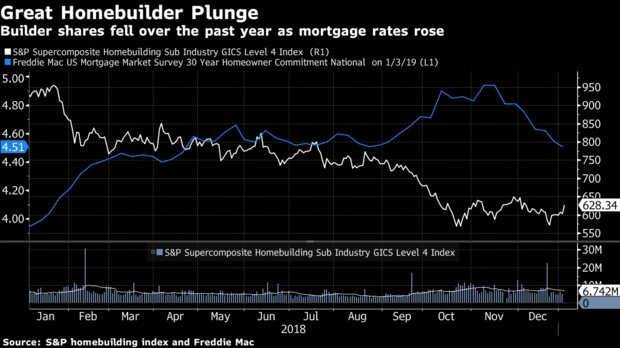 In an industry that defines labor-centric, the homebuilders will continue to be up against the wall in finding skilled blue collar workers in 2019. Look, it is tough to make a living calling tops and bottoms in any market. More power to Stack and the like who have swami talent, but how can the rest of us understand what to do? It never seems to make sense to sit on the sidelines waiting for a collapse to occur. Those of you who opted out of the stock market the last three or four years can feel the pain. Moderation is usually the key. As with any market, low volatility taking one back to historic means is comforting and positive for not only that particular market, but for the overall economy. Perhaps real estate, the stock market, gold et al. will all grow at or near their long-term inflation-adjusted average. Higher mortgage rates have already started dampening home sales. As of November, sales of previously occupied U.S. homes were down 7 percent from a year earlier, the steepest decline since May 2011, when the housing market had yet to bounce back from the bust. Realtor.com predicts U.S. home sales will fall another 2 percent in 2019. Whether you are a buyer or a seller, don’t try to time market tops and bottoms. If you are worried about the real estate market, there are many other asset classes to consider to invest your hard earned money.